What is the difference? Is there a difference? YES!!! Extra Virgin Olive Oil aka Cold Pressed Olive Oil- This unrefined oil and cold pressed (no heat added) is the highest quality of all the olive oils. Any time you add temperature or pressure you alter the taste and nutrition profile of oil. It is high in antioxidants and has anti-inflammatory compounds. It has the true olive oil taste (peppery finish), highest in oleic acid and contains tons of nutrients. 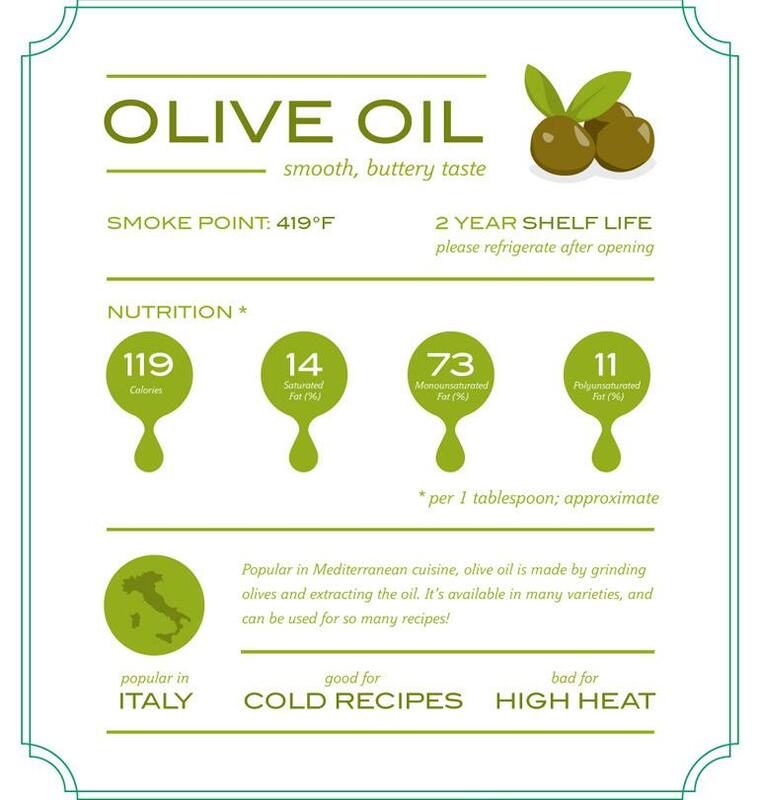 Extra virgin olive oil (EVOO) has a lower smoke rate so keep that in mind when cooking. This oil is great for dipping bread and dressing. Olive Oil- Due to the very strict guide lines of certifying EVOO, any product that doesn't meet the standards becomes refined olive oil. Does that mean that this olive oil is garbage? No way. This oil is commonly used for all purpose cooking. This is a blend of EVOO and refined olive oil. A refined oil means that heat and chemicals have been used to extract the oil. It has a very neutral flavor and smell. Extra Light or Light- This oil is highly processed and of the lowest quality. The name refers to the color and flavor not the calories. The flavor of this oil is subtle and it has a higher smoke rate. It is best used for baking.